Ako hosť nemáte oprávnenie prezerať obsah na stiahnutie. Registraciou ziskate zadarmo pristup k odkazom na rapidshare, upnito, hellshare a desiatky dalsim. 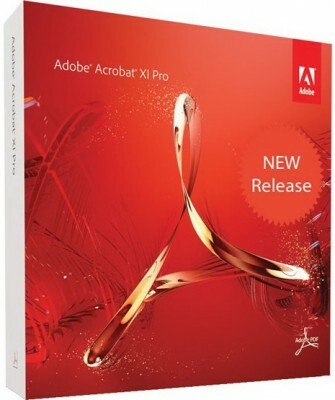 Adobe Acrobat XI Pro - it's not just a popular Converter PDF. It contains many smart features that provide additional opportunities for interaction . Easily, quickly and professionally . It is an ideal tool for marketing and technical specialists . 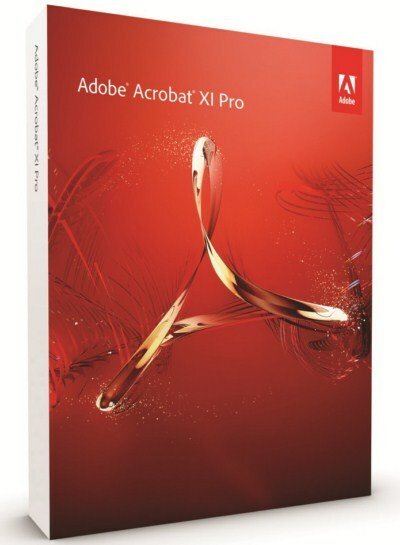 With the help of Adobe Acrobat XI Pro can make minor changes to the text and images directly to a file PDF - original document or graphic object is not required. - Integrated software updates , the original version into a version 11.0.0 11.0.9 . - Added the Installer menu Box-adapted version. Made it in the image of the same menu for Adobe Acrobat 9 Pro Extended. - In the Crack folder contains detailed instructions and additional tools for activating the program . 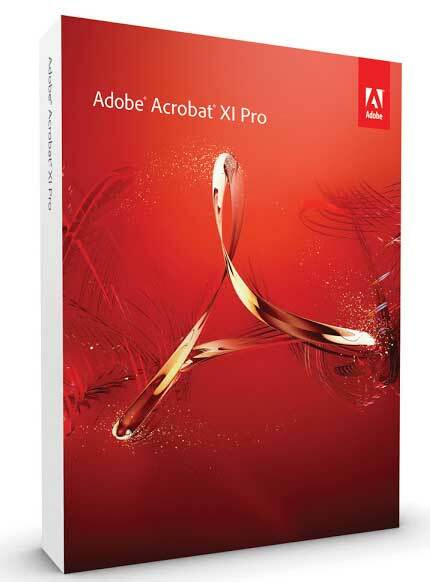 Adobe® Acrobat® XI Pro is more than just the leading PDF converter. It's packed with smart tools that give you even more power to communicate. Easily, seamlessly, brilliantly. NEW Edit text in a PDF - Fix a typo, change a font, or add a paragraph to your PDF as easily as you do in other applications using a new point-and-click interface. NEW Convert PDF files to PowerPoint - Get a head start on new projects by saving a PDF file as a fully editable PowerPoint presentation. NEW Create new PDF and web forms - Customize professional templates or design from scratch with the Adobe FormsCentral desktop app included in Acrobat XI Pro. IMPROVED Standardize routine PDF tasks - Make it easy to create PDFs consistently. Guide people through the correct series of steps with Actions. NEW Edit images in a PDF - Resize, replace, and adjust images in your PDF with no need to track down the original file or graphic. IMPROVED Approve with electronic signatures - Keep projects moving. E-sign your approval right on the PDF. No need to print, fax, or mail the document. NEW Merge multiple files into one PDF - Make sure they don't miss a thing. Combine documents, spreadsheets, emails, and more in an organized PDF. IMPROVED Integrate with SharePoint - With Acrobat, it's simple and convenient for you to retrieve, open, and save PDFs stored on your company's SharePoint server. IMPROVED Convert HTML pages to PDF - Save web pages as PDF files to archive web content, review the pages offline, or print them more reliably. IMPROVED Convert Word, Excel, or PowerPoint to PDF - Right from your Office application in Windows, you can create PDFs, start a shared review, restrict PDF edits, and more. IMPROVED Combine files in a PDF Portfolio - Share your work in a PDF Portfolio that presents materials professionally with an interactive impact. IMPROVED Meet PDF accessibility standards - Acrobat XI helps you create and verify PDFs that meet accessibility standards, so people with disabilities can interact with your PDFs. IMPROVED Conform to ISO PDF standards - Create and validate PDF documents that comply with standards managed by the International Organization for Standardization (ISO). IMPROVED Convert PDF files to Word - Save your PDF as a Microsoft Word document and take your fonts, formatting, and layouts with you. IMPROVED Convert PDF files to Excel - Turn your PDF or just part of it into an editable Excel spreadsheet you can use for data analysis right away. What is new in version 11.0.09 September 16, 2014 Ako hosť nemáte oprávnenie prezerať obsah na stiahnutie. Note: For 64-bit versions of Windows Server 2003 R2 and Windows XP (with Service Pack 2), Microsoft Update KB930627 is required. 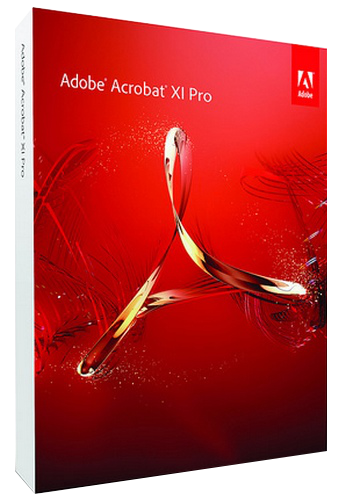 Acrobat DC (former Adobe Acrobat XI Pro) is the completely reimagined desktop version of the worlds best PDF solution. It includes a mobile app so you can fill, sign and share PDFs on any device. And with Document Cloud services, you can create, export, edit and track PDFs from anywhere and stay connected to recent files across all your devices. Visualize this: A UI for users. Touch friendly and easy on the eyes, Acrobat DC has a beautiful new interface that works the way you think with a design-your-own Tool panel so you can find what you need fast. This UI is so simple, you have to see it to believe it. We have put e-signatures in everything, for everyone, from PDFs created in Acrobat DC to mobile apps. So now, you can securely send and track agreements that anyone can sign in seconds on any device. And filling out forms is just as quick. Never lose track of documents again. Now, you can securely send and track your most important documents. Know who opened them, when and even what time they were signed. Plus, you get the peace of mind that they are protected every step of the way. Acrobat DC works like magic. Edit any file, even a paper one. Just snap a photo with your phone, and then open it on your desktop. Before your eyes, Acrobat will magically transform it into a PDF you can edit on your tablet complete with custom fonts that match the type in your original file. Acrobat DC brings e-signing to more than one billion devices around the world. Now anyone can legally sign documents with a finger on a touch-enabled device or with a few quick clicks in a browser. More than just a signing app, Acrobat DC makes it easy to send, track and store signed documents, too. Stránka vytvorená za 0.065 sekund, 23 otázok.